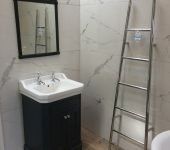 Experience in the tile and bathroom industry since 1996. Family business established in 2001. 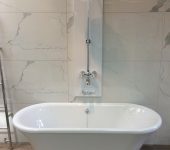 Large stocks of floor and wall tiles. 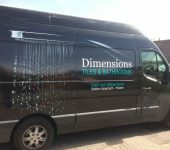 Stocks of all adhesives, grouts, tools, trims & UFH. Exclusive tile ranges imported from Spain & Italy. 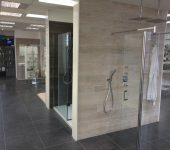 Bathrooms from many leading manufacturers. 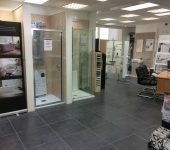 Over 2000 tiles and a comprehensive range of bathroom furniture, suites, showers and associated products on display. Colin Doolan: Sales Person: Experience in the industry since 1996. Paul Overington: Sales Person: Experience in the industry since 2007. 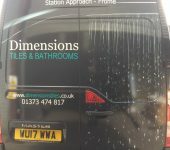 Lee Bishop: Bathroom Designer: Experience in the industry since 2012. Russell O Doibhilin Warehouse & Deliveries: Experience in the industry since 2018. Bridgit Doolan: Accounts: Experience in the industry since 2017.